The humane myth is condoned by many bodies that are mistakenly perceived as helping other animals such as Compassion in World Farming and the RSPCA. It is a myth that props up animal agriculture by offering excuses to people who might otherwise go vegan. It is extremely dangerous and it needs to be crushed. As part of our campaign we have launched a UK wide mini campaign aimed at dispelling some of the myths that perpetuate animal use. This campaign appears in bathrooms in pubs, service stations on major motorways, and in shopping centres in major cities and in tourist destinations across the UK. The campaign will run for three months initially. It appears in two series. 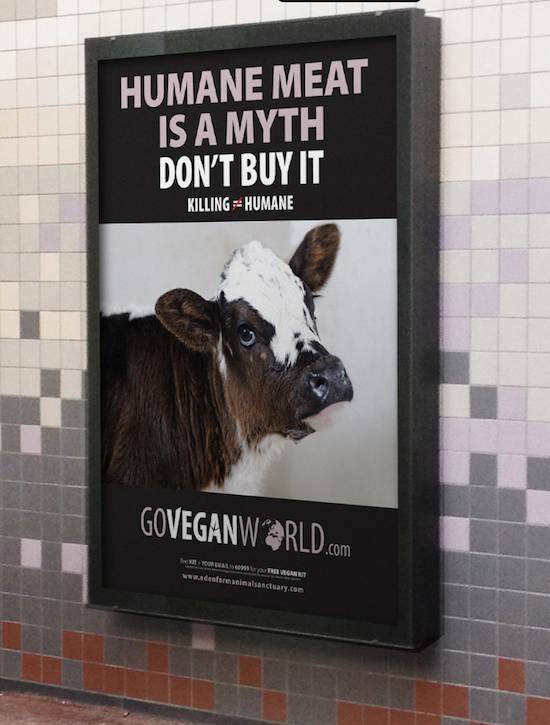 The first series dispels the myth that any animal use can ever be humane. 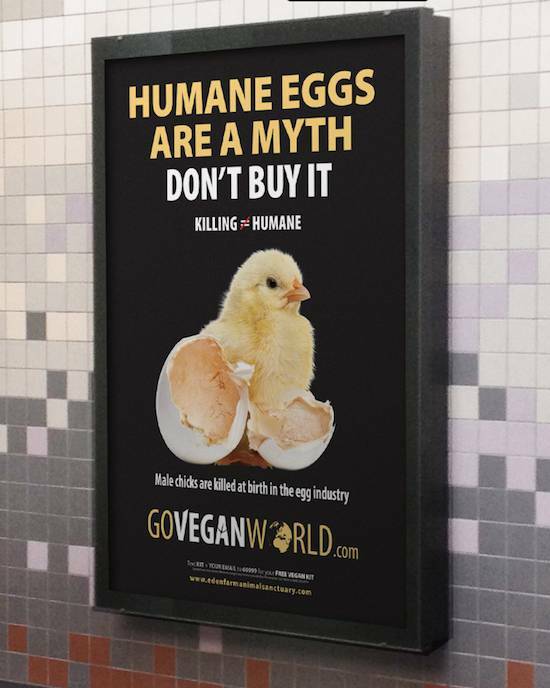 It addresses the facts of animal use as they impact on the lives of hens used for eggs, cows and their calves used for dairy, and all the animals used for their flesh. The humane myth is condoned by many bodies that are mistakenly perceived as helping other animals such as Compassion in World Farming and the RSPCA. It is a myth that props up animal agriculture by offering excuses to people who might otherwise go vegan. It is extremely dangerous and it needs to be crushed. The second series addresses diet and the notion that other animals are necessary for human wellbeing. 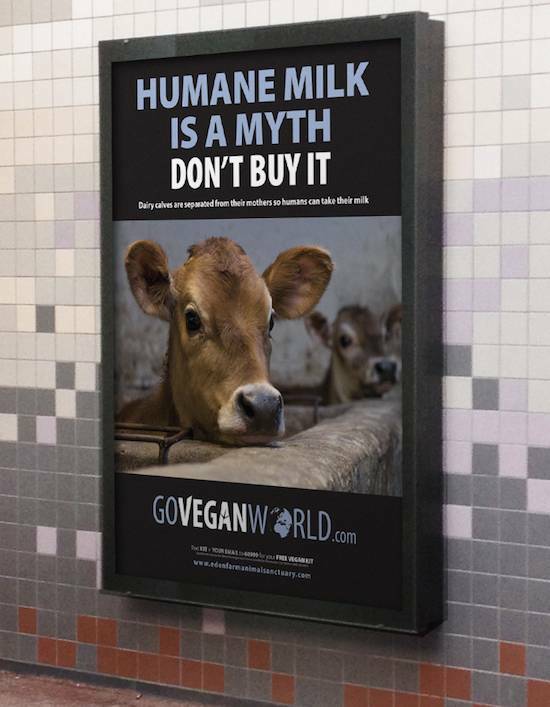 The visual aspect of these ads represents all the animals used as food, and the text contains factual information supporting a 100% vegan diet. The message, as always, is couched within an animal rights context.